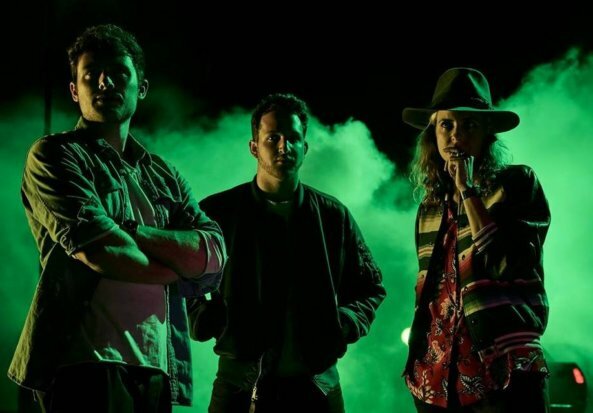 Santa Monica, CA alt-pop trio, Ocean Park Standoff – comprised of Ethan Thompson, Pete Nappi, and Samantha Ronson – first started turning heads with their 2017 hit, “Good News,” off of their self-titled debut EP, leading them to tour with some of music’s greats like Third Eye Blind and Silversun Pickups. The band are currently on a sold out tour with AJR through April 13. Look for more new music throughout 2018!